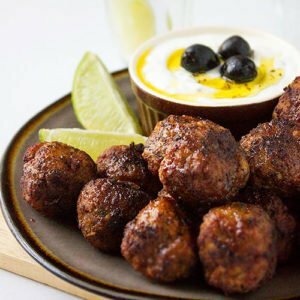 Greek Meatballs – If you are looking for juicy and flavorful meatballs then you are at the right place. 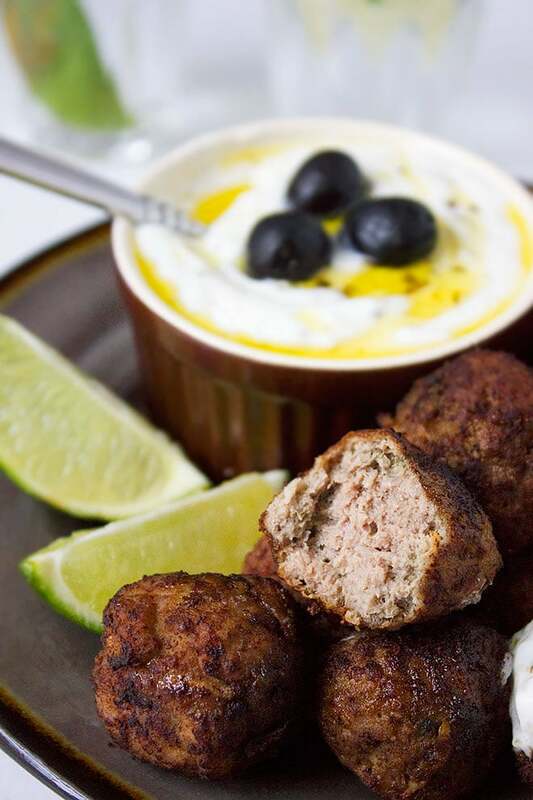 These Greek meatballs will make you super happy! Meatballs are mostly cooked in sauce or gravy. 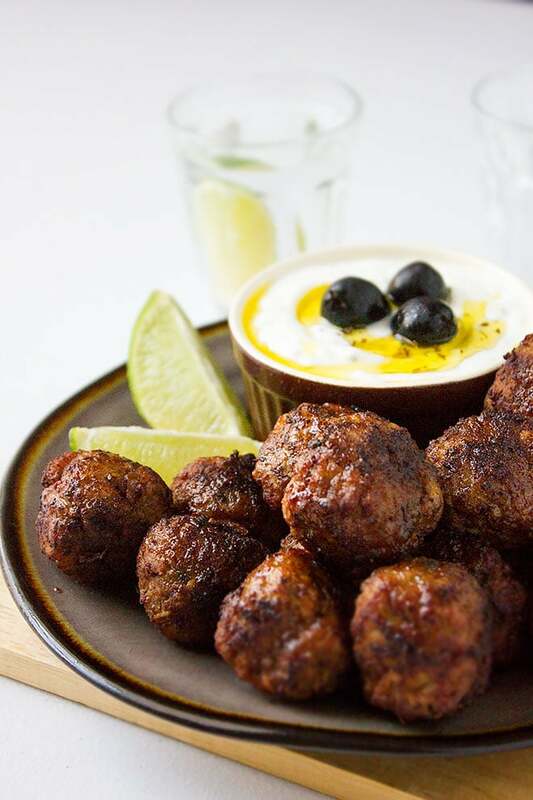 Today’s Greek Meatballs recipe gives you tender and juicy meatballs that are so delicious you will enjoy them without any sauce or dips. 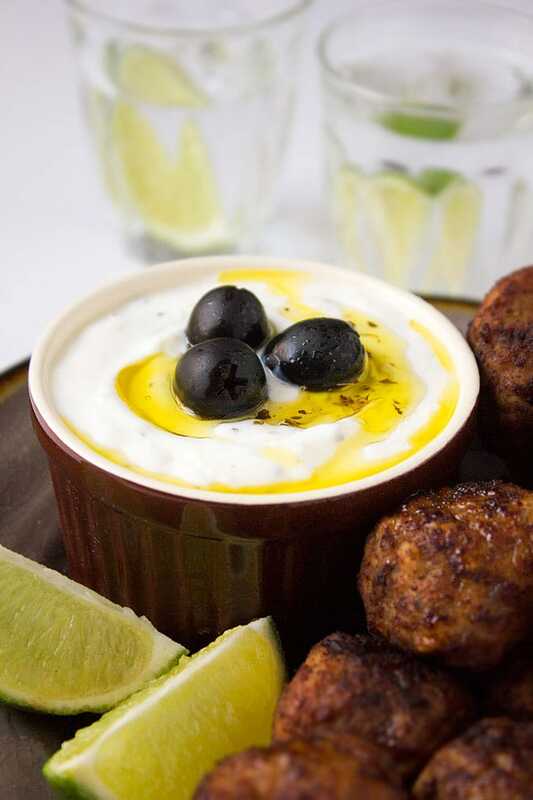 Talking about dips, Keftedes (Greek Meatballs) are mainly served with Tzatziki. 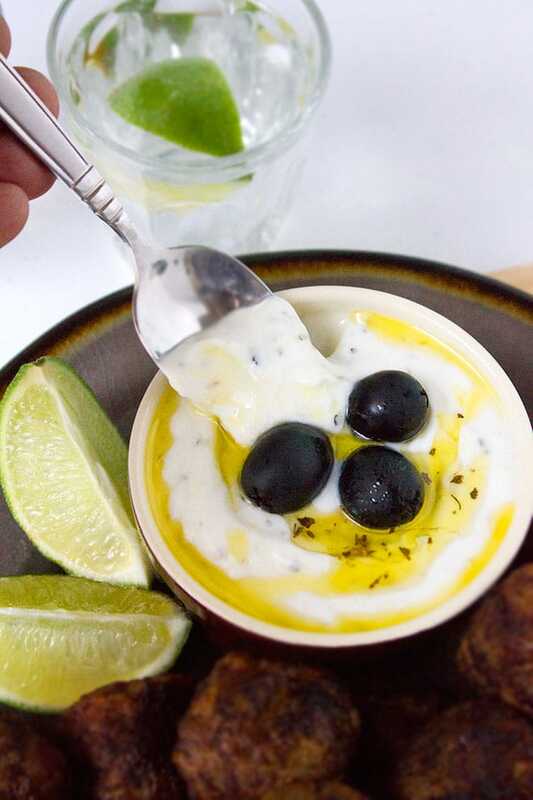 A dip made using Greek yogurt, cucumber, garlic, and dill. There are different versions out there and in some tzatziki recipes, the amount of dill is just too much. You can, of course, add more chopped dill if you wish but I have made this dip to my family’s liking. Although making Tzatziki is simple yet you have to make sure to squeeze the cucumber after shredding it to prevent the dip from turning watery. Also, if you don’t have Greek yogurt, you can add plain yogurt to a cheesecloth and place it over a colander, place a plate or bowl under the colander to catch the water dripping from the yogurt. Leave it for at least an hour in the fridge. This step will reduce the amount of water in the yogurt and will make it thicker in texture just like Greek yogurt. Back to making the meatballs. You don’t have to marinade the mixture, mix all the ingredients together and form equal size balls, dredge into flour and fry it. Great for quick dinner and it tastes amazing in a sandwich. I used a cookie scoop to shape the meatballs, using a scoop gives you equal size meatballs that will cook at the same time. Two tablespoons of the meatball mixture will give a decent size ball, and it will cook for 8 minutes. 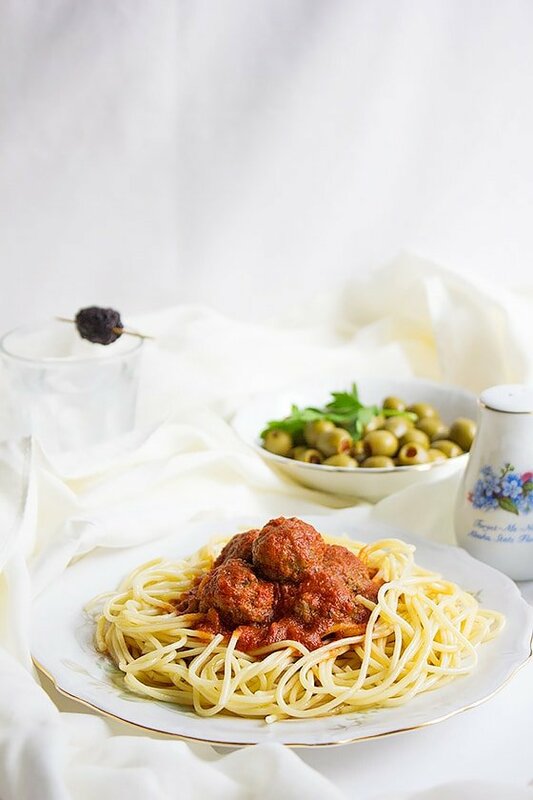 Overcooking the meatballs will take away everything you look for in a juicy and flavorful meatball. I suggest that you fry one meatball for 7 to 8 minutes and check if you have overcooked the meatball or undercooked it. I'm teaching how to make tender and juicy Greek Meatballs with Tzatziki dip. 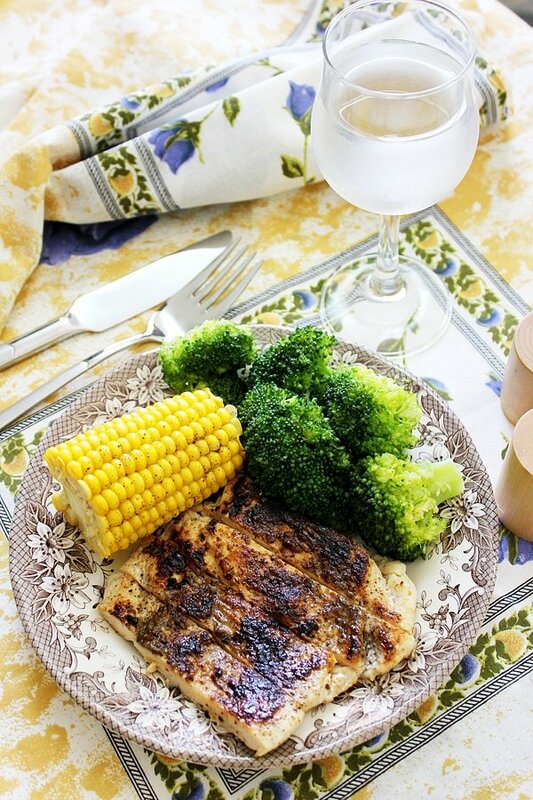 This homemade version will wow your guest and family for sure. In a bowl add all the ingredients except the ground lamb and mix well until combined. Add the ground lamb and keep on mixing until the ingredients are all incorporated. You can cover the meatball mixture and place it in the fridge for an hour, or you can start scooping the meatballs and shape them into equal size balls. In a frying pan add enough oil to fry the meatballs. 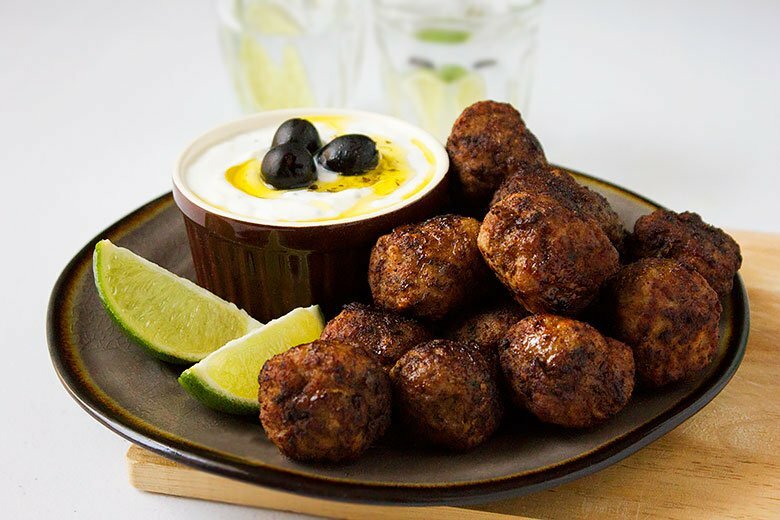 Dredges each meatball in flour before placing it in the frying pan. 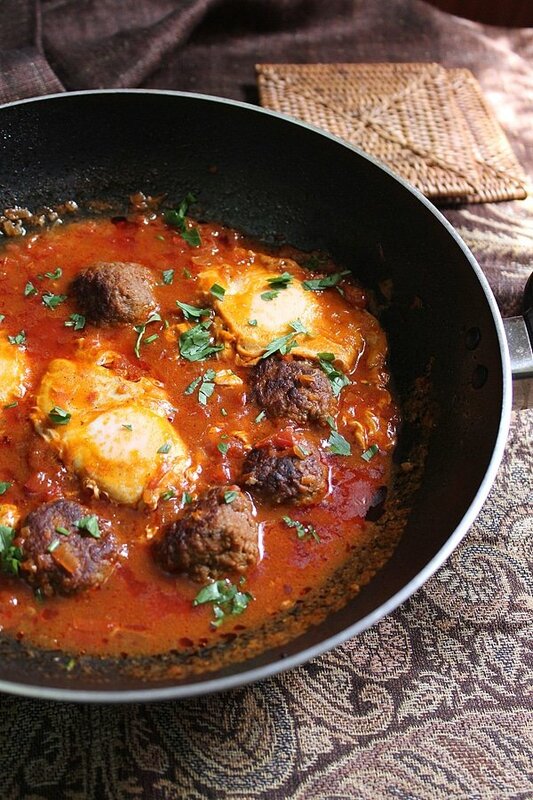 Fry the meatballs in two batches. 8 minutes are usually enough for the meatballs to cook and still be juicy. Move the meatballs while frying to cook all sides. In a bowl add all the ingredients and mix well. That’s my husband’s favourite meal!Happy New Year, Muna.